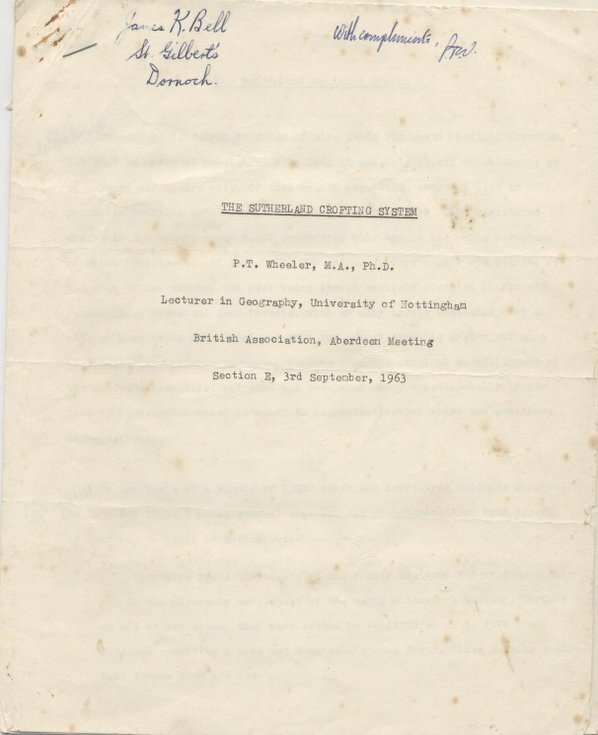 Paper entitled "The Sutherland crofting system" by P.T. Wheeler read to the British Association, Aberdeen; 15 pp., stapled. the pages have frequent age spots and previous iron staples,now removed, have left rust marks. There are handwritten notations in blue biro throughout the document. The pages are creased where the document was folded and the back page is torn.